Thinking about buying property? If you have seen some of the unfortunate headlines, tweets and viral videos in recent times about persons who have allegedly been defrauded in property transactions, you would agree that great care must be exercised when purchasing property. As the courts and relevant authorities deal with these unfortunate circumstances, there are a few things you should know that will help you avoid being duped and left wondering where your money has gone. First, you should note that when you begin initial negotiations for the purchase of property, the onus is on the purchaser to ensure that this venture is legitimate and that proper due diligence in respect of the property is carried out. The Certificate of Title is the legal document which indicates ownership of registered land and this should always be checked to determine if the vendor is actually the owner of the land. Then you must do your due diligence which is to go further and check if the Title that you are shown is genuine and up to date. This can be done by purchasing a copy of the Title from the National Land Agency (NLA) and comparing the two. The purchase of the title can be done online via the NLA’s website. It is recommended that the title is reviewed by an attorney-at-law who will be able to highlight any inconsistencies, liens, caveats, etc that may affect the title. Your attorney ought to also request a caveat search at the NLA which will identify equitable interests claimed by third parties as these interests may not be apparent on the title not apparent from a visit to the land. You may want to visit the property to inspect as best as possible the actual condition of the land or the building and to check if someone is currently renting the property or if there are squatters. Keep in mind your intended use of the property as there may be restrictive covenants on the title which specify how the land can be used. You should also be aware that the permitted use of the land will be dictated by the Development Order covering the area. You should hire a commissioned land surveyor to conduct a survey of the land and provide a Surveyor’s Identification Report. This report will pick up any breaches of the restrictive covenants on the title and also any other issues such as use class, and easements which affect the rights of the owner of the land. If a breach of the restrictive covenant is detected you will need the services of an attorney-at-law to apply to the Courts to modify or discharge that covenant. This is especially important if you are obtaining a mortgage to assist with the purchase. If you plan to build or make additions, it is recommend that you seek advice as there may be approvals you need from the local parish council or other government authorities. It is best to engage an attorney who can give you specific advice in relation to the due diligence you need to carry out before committing your money. The need to have your own attorney is absolutely crucial to ensure that your interest as the Purchaser is protected. You should not depend on the Vendor’s attorney alone as you are not their client. Despite potential risks that may arise when buying property, the law in specific circumstances will protect a purchaser who has bought a property in good faith. The law refers to this person as “bona fide purchaser for value without notice” and this person is protected against a third party who claims an interest in the property on the ground that the vendor sold the land with a fraudulently obtained title. Before you think that this means you can relax on your due diligence when purchasing a property, you need to know who the “bona fide purchaser” is. Under the Registration of Titles Act, a bona fide purchaser is not required to ascertain how the vendor has been registered on the certificate of title because the title of a property is indefeasible. The courts have made it clear that the bona fide purchaser’s interest is safe unless it is shown that the purchaser was (i) involved in the fraud or (ii) had notice of the fraud or (iii) the Registrar of Titles was involved in the fraud. It is important to note here that for this protection to work, you as the purchaser would have had to have seen the title. If you did not have good advice, failed to inspect the validity of the title or the vendor’s identity and it turns out the title was fake or that the vendor did not own the land, then you may not be afforded the protection of a bona fide purchaser and your money may be lost forever. Engaging an attorney when it is too late in the game and you have spent your money in a fraudulent conveyance is not a position you want to be in. Don’t get duped…ensure that you do everything to ensure your money is well spent. 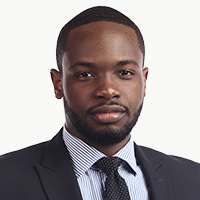 Antwan Cotterell is an Associate at Myers, Fletcher and Gordon, and is a member of the firm’s Property department. He may be contacted at antwan.cotterell@mfg.com.jm or via the Firm’s website www.myersfletcher.com. This article is for general information purposes only and does not constitute legal advice.